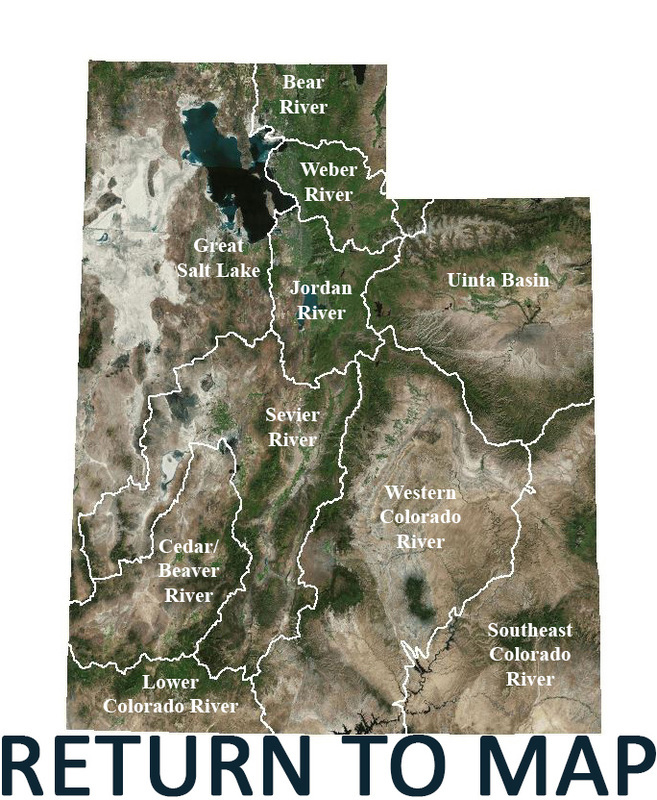 ​The Weber River Watershed is located in northern Utah just east of the Great Salt Lake. It covers an area of over 2,400 square miles. Elevation is lowest at the confluence with the Great Salt Lake at about 4,200 feet and climbs to over 11,900 feet to the east in the Wasatch Range. Precipitation averages at 26 inches per year, ranging from a minimum of 11 inches per year to 73 inches per year. The major river in this watershed is the Weber River, with tributaries of Ogden River, East Canyon Creek, Lost Creek, and Beaver Creek. There are several reservoirs as well: Echo, Rockport, Pineview, Causey, East Canyon, Chalk Creek, Lost Creek, Smith, Morehouse, and Willard Bay. Major water uses are for agriculture, irrigation, municipal and industrial uses, and recreation. Water quality issues include sedimentation, high levels of total phosphorus, and low dissolved oxygen.